Remember what it was like to be little? To be just another kid hanging out in the neighborhood and dreaming about what the future would look like? Yeah, those were the days. I don’t know about you, but I was pretty sure that the Jetsons were on to a thing or two! Well my friends, the future is now. We have arrived, not just into the next century, but into the second decade of the next century and its time for us to take a closer look at what that means to the would of E-Learning as a whole. We may not be cruising around in flying cars just yet, but we do have a few extremely impressive new resources ready and waiting for us to both explore and incorporate. So, without further ado, I give you E-Learning….the 2013 version! Now that we have released the SlidePoint Online Presentation software for Weblearning, many of you want to use your PowerPoint backgrounds in your SlidePoint Presentations. So, although I am not an expert at creating great e-learning presentations, I put one together using SlidePoint - which shows you how to get your PowerPoint backgrounds into SlidePoint so you can use them as a Presentation skin (while showing a bit of what can be done using SlidePoint). What is SlidePoint? In short, SlidePoint enables you to visually create and assemble visually stunning, flash-like e-learning presentations, complete with images, text, video, narrations, and even animation effects – all online, and the end result does not require flash! You can, of course, integrate flash videos if you wish (as well as YouTube videos). To Do or Not To Do … Should an Educator Blog? To blog…or not to blog? As the title suggests it poses quite the perplexing question. After all, as educators our blogs have the potential to both affect our students as well as offer them a type of behind the scenes glimpse into our minds. Do we really want to open ourselves up to that type of scrutiny and, in doing so, invite the dialogue that comes hand-in-hand with any type of public forum? In fact, I think that being an educator makes the reasons to blog more important, more interesting and even more compelling. It allows us to express ideas and open conversations that wouldn’t be possible otherwise. It allows us to share our voice. Now, let’s talk about why we should…..
Delivering Online Quizzes is becoming more and more common, so here are 5 great ways to help prevent cheating and ensure the user answers are their own. This is a no-brain-er. By doing this, you make sure that passing the quiz is not a simple list of letters (like 1-a, 2-c, 3-b, 4-b, etc). Most quiz authoring software (including our Weblearning E-Learning System as well as our Online Quiz Maker System) enable you to do this. Here is a short video that shows 3 easy ways to get your users to your online quizzes using Online Quiz Maker. 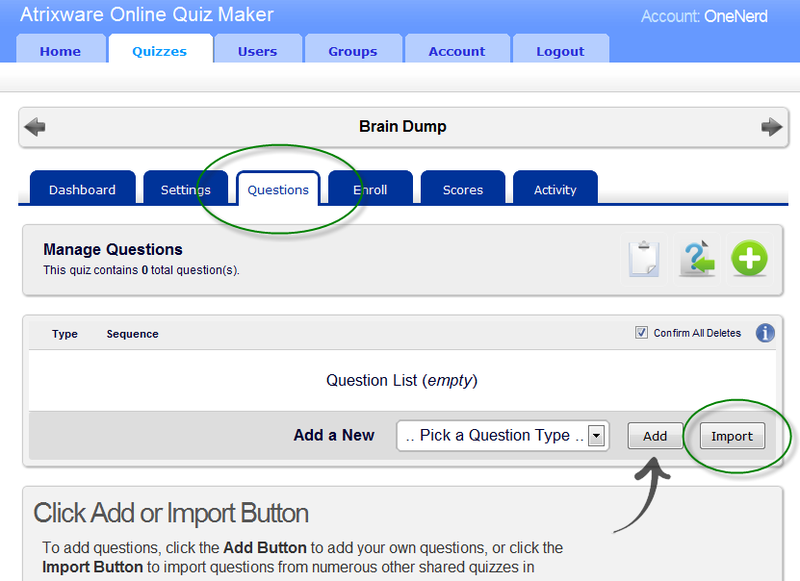 Online Quiz Maker is a budget-friendly, easy-to-use Online Quiz Maker system. To get a FREE account, go to the Online Quiz Maker Sign-up Form. 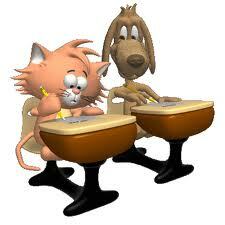 You may also be interested in the Online Quiz Maker for Schools system. I can’t tell you how many times I have come across this scenario: Our users have content as a PDF, or as Images, but not the source document so they can edit it. They essentially have to re-enter all the text – yikes! Here is a short video that shows how to quickly create shuffled printed quizzes using Online Quiz Maker. The Online part of Online Quiz Maker has a double meaning. First, it means you can create “Online Quizzes” – that can be delivered to your users or students online. But it also means that you use it online (as in, there is no software to install – you access it from your web browser on your PC, Mac, iPad, iPhone, or Android phone or tablet). Our popular Online Quiz Maker system is used by thousands of people, and many of them share their quizzes so you can use the questions they have created in your quizzes. To do so, first create a quiz, then click the EDIT button to edit the quiz. Our popular Online Quiz Maker system is now available as a special-priced and teacher-targeted version, called Online Quiz Maker for Schools. Our popular Online Quiz Maker system will soon be available in another capacity – the “Online Quiz Maker for Schools” system. While our core business is professional and enterprise systems (like our Weblearning E-Learning System), we have always had lower-cost options for schools and teachers (since 1997), such as our PowerPoint Quiz Maker and Easy Quiz Maker products (and some others in the past as well). Our featured low-cost option as of late has been the Online Quiz Maker system – a 100% online system for creating and delivering quizzes online. It was designed to work everywhere (any computer or mobile device), so it works on PC’s, Mac’s, iPads & iPhones, Android phones & tablets, etc. It is also frequently used (or so we are told) as a way to quickly make shuffled printed quizzes. We have been getting quite a bit of requests from teachers to get systems for their schools, so over the past several months, we have put together (and are finalizing it now) a system geared for use in a school or school district. A basic implementation for 10 teachers should be under $500/year in order to fit into tight school budgets. System should be exclusive to the school (only teachers from that school/district can use it). System should get exclusive sub-domains (like frsd.deerfield.ma.quiz-maker.net). Teachers should be able to group themselves into departments (Science, Math, etc.). Teachers should be able to share content (quizzes/quiz questions) amongst other teachers, and be able to find content relevant to them by viewing content from other teachers in their department (Science, Math, etc.). Teachers should be able to import students from another teacher (since teachers often share students in the same hall/group/team). We are readying this for March 2011, so if you have any suggestions, please submit them to Melina Fox at melinda@atrixware.com. If you want to try the system, go to http://online.quiz-maker.net/ and sign-up for a free account. Online Quiz Maker is our most popular consumer product to date. If you are already using it, you already know how easy it is to use (that is our #1 goal with this system — ease of use trumps everything else). Based on feedback we have been getting, there is still some confusion over the different kinds of quizzes you can make, so in this short article, I will attempt to describe them more thoroughly. An electronic item or database that holds questions, settings, user access, and scores. From this ‘quiz’ item, you can create ‘public’, ‘private’, and ‘printed’ quizzes (see below). A public quiz is an online quiz that anyone can take – no user authentication is necessary. This means that anyone that knows the URL or link to the quiz can take it and submit to get their score. Public quizzes can be configured to email you (the quiz admin) the score results and summary as well. A private quiz is an online quiz that can only be accessed and taken by someone that you (as the quiz admin) have enrolled into the quiz. Upon accessing the quiz, each user will be required to enter in their user name and password before accessing the quiz. Private quizzes can be configured to email you (the quiz admin), or the user, or both, the score results and summary. Also, results for private quizzes are stored inside your quiz admin account for viewing, evaluation and exporting to excel. In addition, a private quiz can be configured in such a way so it can only be taken once per user (or an unlimited # times). 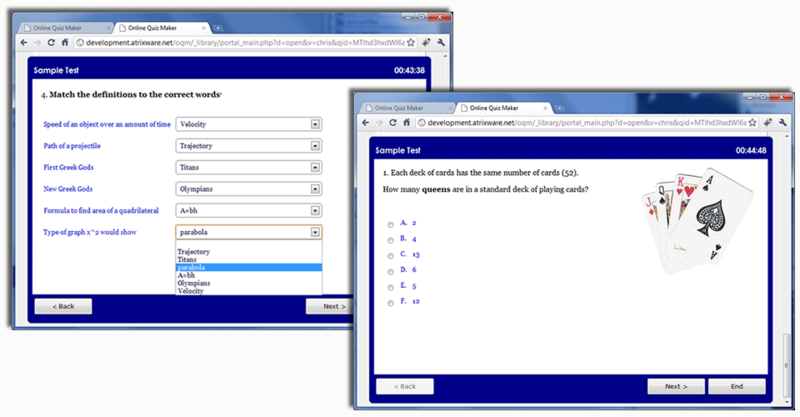 A printed quiz is simply a quiz that is optimized for a printer. It includes nicely formatted text and images ready-to-print, and also includes the answer key. If you have the ‘shuffle questions’ option set on the quiz, you can quickly reshuffle the questions on the printed quiz by clicking just one button. For more information on Atrixware Online Quiz Maker, or to sign up for a FREE Account, visit http://online.quiz-maker.net/.